Use the Interactive Sitemap below to get an overview of what is on this website. Click on it wherever you see it to load up a version with hyperlinks. The tabs at the top of each page will help you to go to the topics which interest you. Click on the top level tab for an introduction. Use the drop downs to get to areas of specific interest. On the right of each page you may see a list of related pages, links and files. There is a traditional sitemap with information of what's on each page. The pages are listed alphabetically on the Contents page. Several of the pages have a matching 'More About' page. This gives more advanced information on the various topics. There is a special page for teachers and parents. The Contents - Files page lists all of the files which are included on the pages. 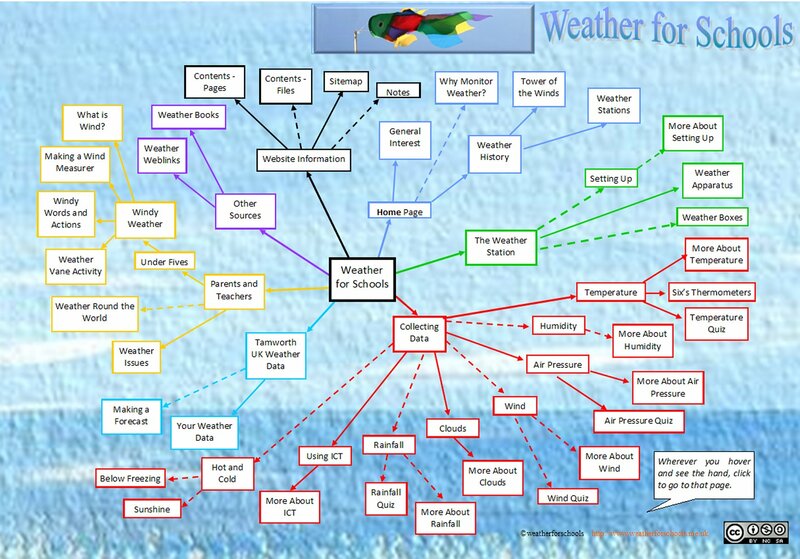 Welcome to this educational weather site dedicated to explaining how to collect basic weather data. We hope to help and encourage young weather enthusiasts. This site is meant for children between the ages of 7 to 11. We also hope that it will prove useful for teachers. It may still be relevant to older pupils, but the main target audience is the younger pupils, their parents and their teachers. Some material has been simplified for the benefit of the target audience. An area for adults to use with the much younger weather watchers has also been developed. We've called it 'The Under Fives' but it is there to be used by anybody who needs resources for beginner weather watchers. Your hosts for this site are Alan Rodgers and Angella Rodgers (nee Streluk). We are two former primary school teachers with a special interest in the weather. We have written some books on the topic. See some details about our Measuring the Weather books. We hope you enjoy visiting this site. We would be happy to hear your views or receive contributions. Could you send us an interesting weather web link? Could you send us a simple weather report on the weather in your part of the world? 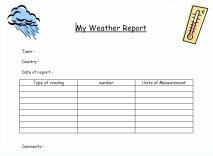 Send it as an email if you like, but here is a Weather Report MS Word document you could fill in and send to us. The initial project that led to this website was a result of a Staffordshire Educational initiative to promote the use of the Internet and collecting weather data. It used to be know as the Staffordshire School Weather Data Site. Grateful thanks go to Kate Russell (formerly of QLS) for her support in this project. 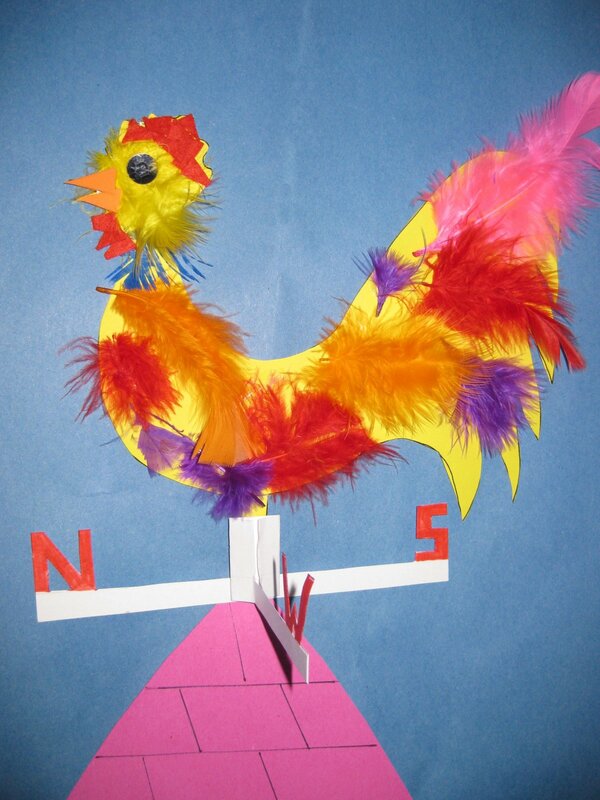 Find out how Wind Direction and Wind Roses can help you to forecast the weather. Angella Streluk was awarded this along with the primary school where she worked. Use this file to send us a weather report from your part of the world. Please send the filled in form to us. To see a full list of other files for collecting weather data look on the Contents page. This award winning site has a wealth of resources to help in teaching geography.